If you’ve drawn faces before, you know there are a lot of differences between a child’s face and an adult’s. It can be a challenge to make sure that a young person’s face seems young or an older person’s face appears old, especially when there aren’t a lot of noticeable age-related characteristics, like wrinkles or facial hair. Proportion is the most important concept to consider when drawing a child’s face. Here are some tips to help you better understand how proportion can help you when drawing children. Artists haven’t always understood the differences in a child’s proportions versus and adult. The Italian artist Cimabue seemed to think that making everything smaller was all that one needed to do in his Madonna With Child from 1284. As you can see, Cimabue painted a Christ child that looks less like a child and more like a grown man only smaller. In fact, while certain things about children are smaller, some features things are not. For instance, while the overall size of the head is smaller, the eyes of an infant don’t get appreciably larger through life. The biggest differences between a child and an adult face are the scale ratios of the facial features. As you can see, in the adult face, the eyes are located close to halfway between the top of the head and the chin. In the infant, we can see that the area above the eyes is greater in length than the area below. Notice also that the distances between the other features — the nose, the lips and the chin — get shorter as well. However, while the distances shrink, the relative sizes of the features appear to stay the same. This gives them the appearance of features being larger on a child’s face than on an adult, when really, it’s only the distances between them getting smaller that creates the effect. Other important attributes of a child’s face are the lack of a pronounced jawline and pointed chin, and the absence of prominent cheekbones. Notice also that the nose is more upturned. So too are the brow ridge and jaw. These angles are easier to see in profile. When you overlay the two profiles, it’s easy to see where the real differences in proportion lie, and where they come from. As we grow, the shape of the top of the head and the location of the eyes stays essentially the same. The rest of the features — the nose, mouth and jawline — grow down, out and away from the top of the cranium. What does this mean? A lot of artists are told that the difference between an adult and a child’s proportions is that the top of a child’s head is bigger. Now you know that’s not true at all. It only appears bigger because the other features haven’t developed yet. A more correct way of characterizing the difference would be to say that an adult’s lower features are bigger than a child’s. Of course, just as important to understanding the differences between drawing an adult and a child is the fact that the human body grows a great deal in relationship to the size of the head. A child might stand the equivalent of 4 head lengths tall, while an adult will stand around 7 head lengths tall. This change in scale ratios is as significant as understanding the differences in proportion within the features of the face and head. 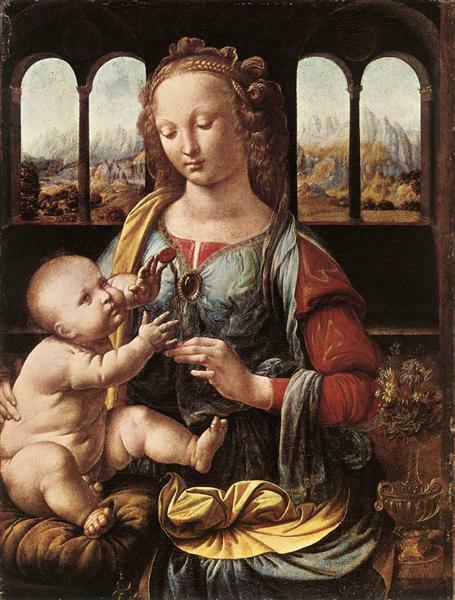 Eventually artists finally figured all this out, and babies started to look like babies in paintings, as you can see in Leonardo’s The Madonna of the Carnation from 1480. You may also enjoy our tips for drawing expressive faces and drawing expressive facial features. Sign up for one of Craftsy’s online drawing classes today! Be sure to come back to the Craftsy Blog tomorrow to explore the use of positive and negative space in art. What are some of the challenges you’ve encountered drawing children’s faces? How might you approach them differently in your next art project? Thanks for the tips….you make it so much easier for us amatours. Please, can you also point the differences between men and women faces??? Thanks for this awesome lesson! Very helpful! Thank you so much. Just the info i was looking for. This was very clearly explained and very helpful.Thank you so much. Do you know if there’s any other aspects of ratio that should be considered, or hold true, in regards to drawing children from different ethnic backgrounds? I am new to portrait drawing , and have always struggling drawing infant faces because of the missing basic. After going through your article, I am confident I will use your tips to get that right. Thanks for precious tips. The information on this page was super helpful. 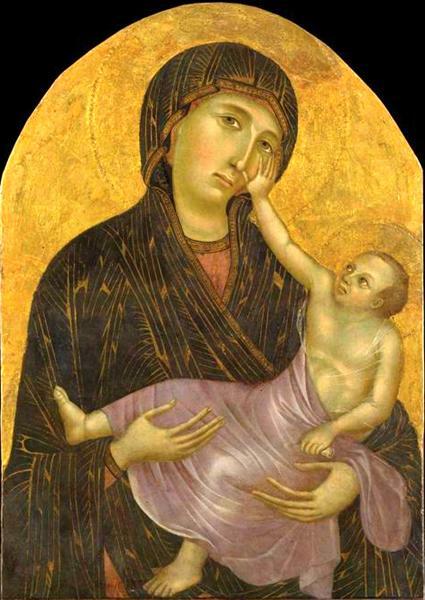 However, most medieval and some early renaissance art depict babies (esp. depictions of Jesus) as a small man because they intended ro and not because they disn’t understand children’s proportions. This was a stylistic choice not an error.